Bernard McGinn's The Presence of God series is one of the most respected histories of Christian mysticism in print today. 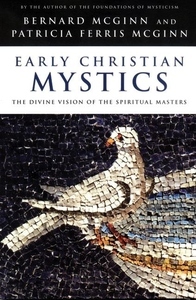 In this new book, Bernard and Patricia McGinn draw from the series to take a closer, personal look at the mystical vision of 12 great spiritual masters living before the Reformation. What were the deep insights of these early mystics? How can we apply their wisdom to our lives today? Chapters include Hildegard of Bingen on cosmic vision, John Cassian on prayer and purity of heart, and Bernard of Clairvaux on spousal love.